"HEPHTHALITES. Baktria? Circa 350 AD. 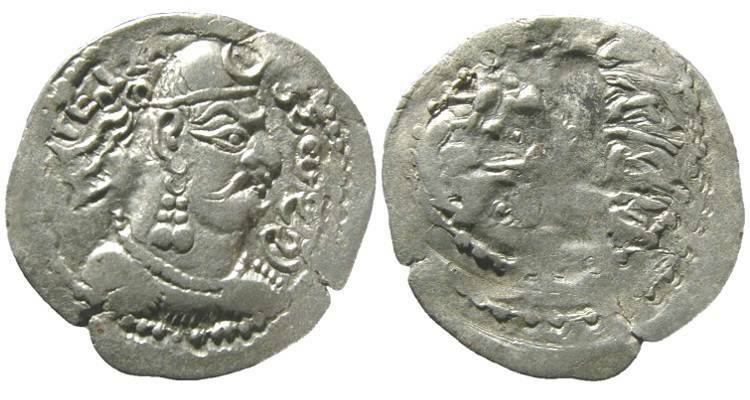 AR Drachm (3.43 gm). Imitating Sasanian king Shahpur I. Tall narrow bust resembling Shapur I; crown with korymbos and earflap / Fire altar flanked by attendants, sprig and caduceus to either side of flames. This apparently unpublished imitative dirhem of Shahpur I is possibly one of the first issues of the Hephthalite tribes that settled in Baktria in the 350s AD and established treaty relations with Shahpur II. 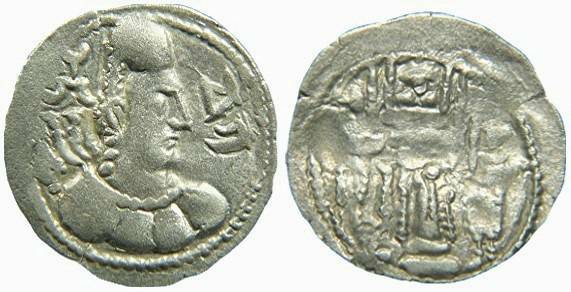 The sprig and caduceus symbols on the reverse are not found on any other issue, but they may be intended to mimic the wreath and taurus symbols on contemporary Sasanian coins." "Hephthalites, Khingila. AR Drachm. 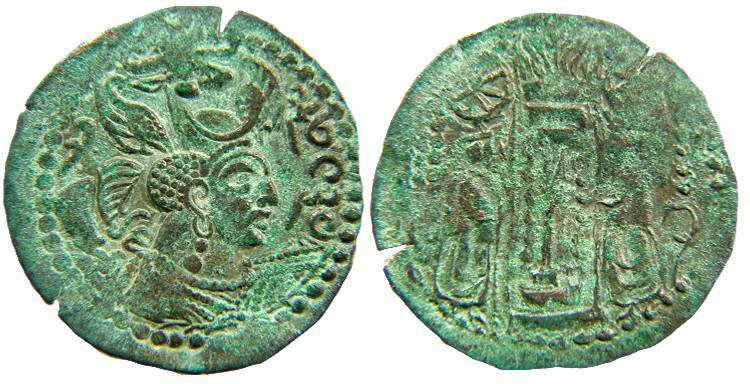 c. AD 440-490/ Mint" Taxila (? )/ Obverse Brahmi Khi-Gi (for "Khingila"). Tall, Central-Asian bust right, wearing diadem, earrings and necklace; tamgha behind head. Reverse Fire altar with attendants, bust in flames. Weight 3.59gm Diameter 26mm."